Just about everyone knows a relative, friend, or coworker who is exhibiting signs of emotional or behavioral turmoil. Yet figuring out how to reach out to that person can feel insurmountable. We know it is the right thing to do, yet many of us hesitate to take action out of fear of conflict, hurt feelings, or damaging the relationship. 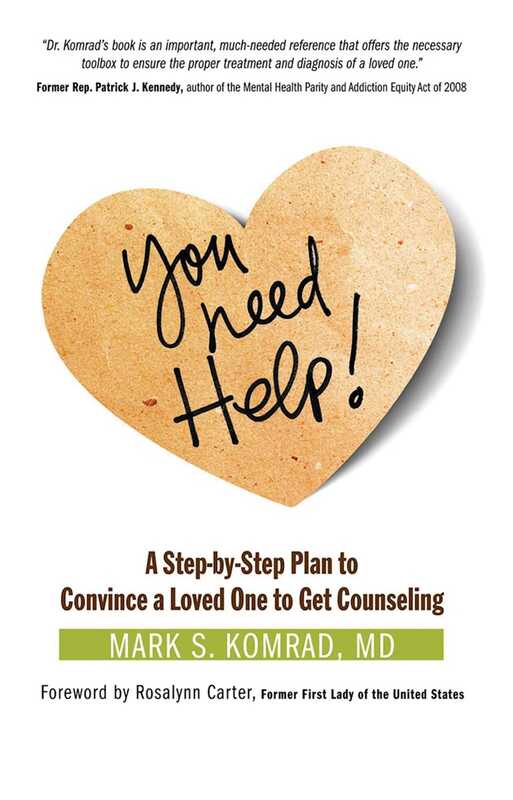 Through a rich combination of user-friendly tools and real-life stories, Mark S. Komrad, MD, offers step-by-step guidance and support as you take the courageous step of helping a friend who might not even recognize that he or she is in need. He guides you in developing a strong course of action, starting by determining when professional help is needed, then moves you through the steps of picking the right time, making the first approach, gathering allies, selecting the right professional, and supporting friends or relatives as they go through the necessary therapeutic process to resolve their problems. Included are scripts based on Komrad’s work with his own patients, designed to help you anticipate next steps and arm you with the tools to respond constructively and compassionately. You will also find the guidance and information needed to understand mental illness and get past the stigma still associated with it, so you can engage and support your loved one with insight and compassion in his or her journey toward emotional stability and health. Book Cover Image (jpg): You Need Help!